A new member of the Kennedy family, the influential dynasty in US politics, made his debut before a broad national audience presenting his Democratic Party's reply to the State of the Union address by President Donald Trump. Apart from having one of the most famous names in US history, what else do we know about it? Joe Kennedy III, currently a representative to the lower house, jumped to the national stage with the traditional reply to the annual presidential speech. Although he is well known in political circles in his native state of Massachusetts, it was the first time that Kennedy was presented on "triple-A schedule". In a speech that had asides in Spanish, he went directly to the so-called "dreamers" - undocumented immigrants who came as children to the country - who were protected during the Obama administration but are now threatened with deportation. "You are part of our history," he said in Spanish. "We will fight for you and we will not go away (give up)." The young Kennedy also launched several darts against President Trump declaring: "The thugs never win." He rebuked the president's policies, including his attempts to revoke the health program known as Obamacare, and alluded to the scandal of Russian interference in the 2016 presidential campaign and to the marches of white supremacists in Charlottesville, Virginia. He is the grandson of the late Senator Robert Kennedy and nephew-grandson of the late US president. John F Kennedy, both murdered in the 60s. He was born in Massachusetts, the ancestral state of the Kennedys, and is 37 years old. His great-grandfather and hierarch of the dynasty was also called Joseph, and he was the ambassador of the United States. before United Kingdom, in the 30s. He is currently serving his third term as a Democratic representative in the Lower House for the 4th District of the State of Massachusetts, seat to which he was elected in 2013. 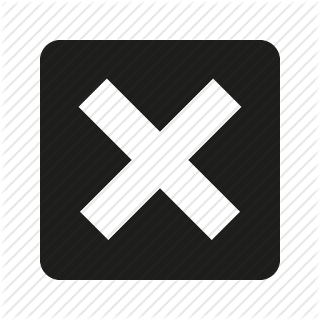 He lives in Newton, Massachusetts, with his wife Lauren Birchfield Kennedy and their two children, Elanor and James. The couple met at the Law School of Harvard University, in a class taught by Elizabeth Warren, who is now a Democratic senator from Massachusetts. Before entering the US Congress, Joe Kennedy III studied his undergraduate degree at Stanford University, California, and then served two years in the Peace Corps in the Dominican Republic. After studying law at Harvard, he was a district attorney. Kennedy speaks Spanish, has a twin brother, Matthew Kennedy, and inherited his family's love for the New England Patriots football team. "I think it's been useful in our region," says Will Richmond, editor of the digital and city section of The Herald News in Fall River, Massachusetts. "There are some local ties that have been passed down for generations," says the story that JFK's wedding cake came from the Fall River region. Although his last name initially seems to have helped Kennedy to be recognized, Jim Hand of the Sun Chronicle newspaper assures that the rest has earned it by his own merit. "He has always been low profile, very low profile, even though recently he speaks more frankly and directly," Hand says. "The people of Attleboro (city in the district it represents) would say that their speech has become more eloquent." As a member of the Energy and Commerce Committee of the Lower House, he has concentrated and promoted the issue of energy costs. It also demands a better treatment of mental problems and better teaching of science and technology in schools. "Lately, he's become very active in the opiate issue," explains Richmond. "Last week he delivered the keynote speech at the launch of a campaign (against the problem) here in Fall River." Following the political tradition of his family, he is a defender of ethnic, religious and sexual minorities, a position he made clear at the end of his reply, alluding to the movements "YoTambién" ("MeToo"), about sexual harassment, and " The Lives of Blacks Matter "(" Black Lives Matter "), in reference to police brutality against African-Americans. 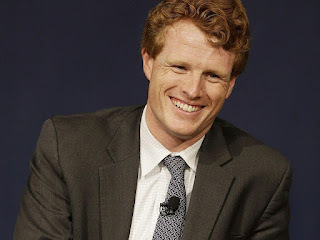 Joseph Patrick "Joe" Kennedy III (born October 4, 1980) is an American lawyer and politician. He currently serves as the representative of the United States in the fourth congressional district of Massachusetts since 2013. He is a Democrat whose district extends from the western suburbs of Boston to the southern coast of the state. Son of former United States Representative Joseph P. Kennedy II, he worked as a Peace Corps volunteer and as an assistant prosecutor in the Cape and Islands and Middlesex offices before his election to Congress. A member of the Kennedy family, he is the grandson of former United States Attorney General Robert F. "Bobby" Kennedy, a nephew of former President John F. Kennedy and former Senator Ted Kennedy, and a great-grandson of Joseph P. Kennedy Sr. ., former Ambassador of the United States to Great Britain, and the first President of the SEC, serving under President Franklin Delano Roosevelt. His great grandmother Rose Kennedy was the daughter of John F. Fitzgerald, a member of the House of Representatives and twice Mayor of Boston.